I’m gonna need 10 cc’s…STAT! Just smile and nod in agreement. Wow, i never noticed that before. It totally does look like iron man. Smiles and nods in agreement. Since I’m feeling contrary today, I’m gonna disagree. You are all wrong. 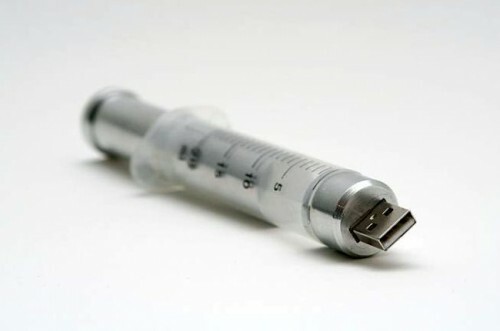 That USB syringe does *not* look like IronMan.